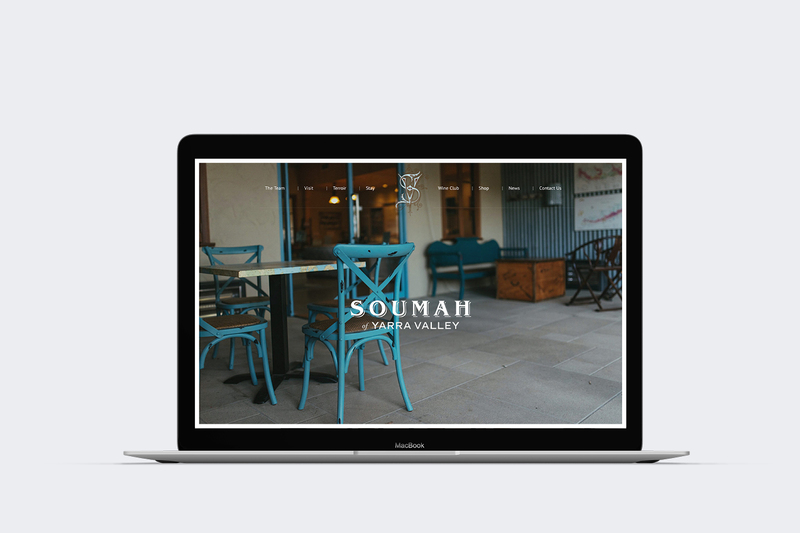 Maker & Co were engaged to design and develop a new e-commerce website for Soumah Wines of the Yarra Valley. 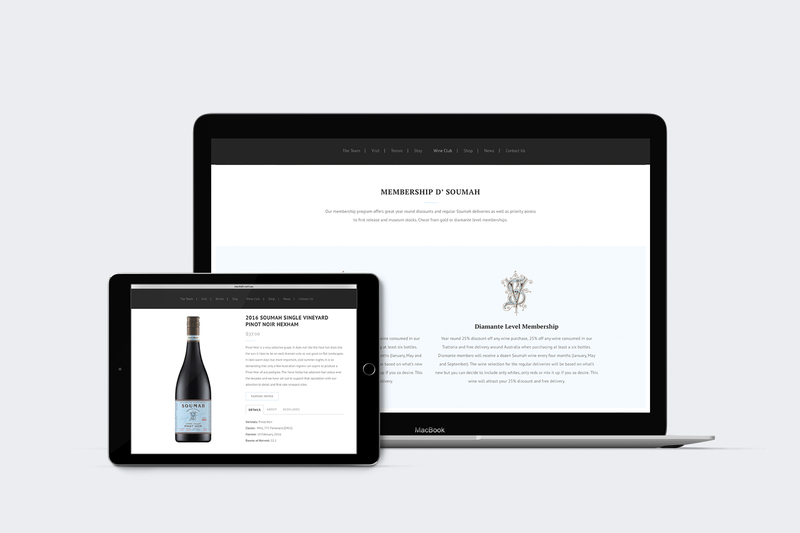 Our brief was to build a web presence that showcased the winery, vineyard, cellar door, restaurant and accomodation offerings of the business. 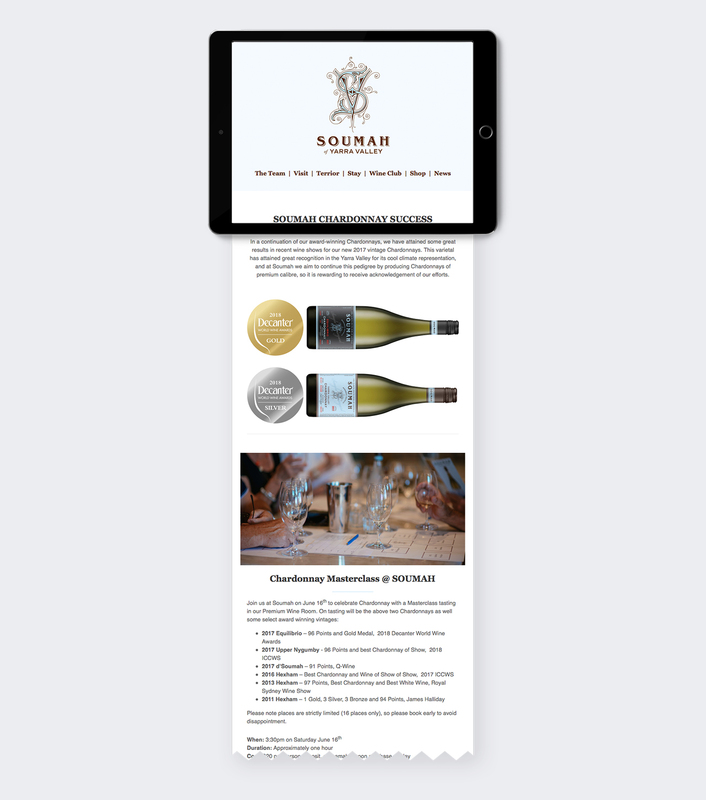 The result is a modern, mobile responsive, fully integrated website that is aesthetically aligned with the unique Soumah brand and is strategically designed to help drive direct to consumer wine sales, boost cellar door visitation and restaurant bookings and offer a dedicated members area for the Soumah Wine Club community. 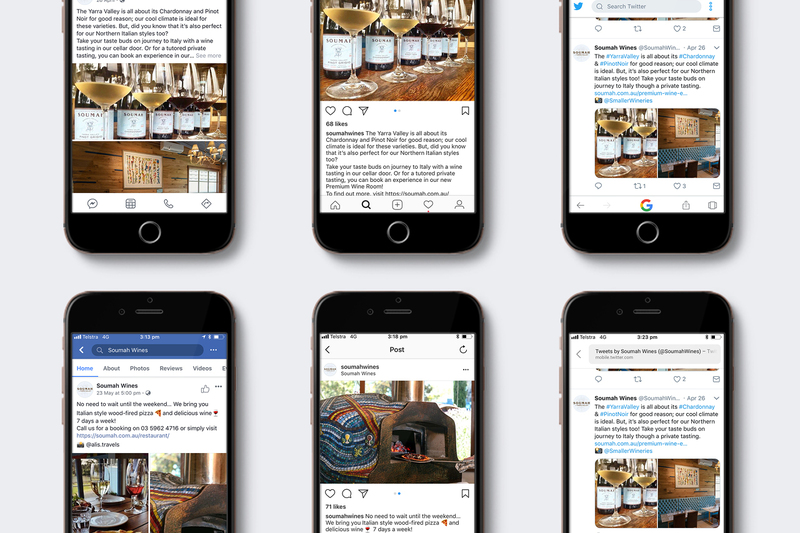 Following launch we continued to work with Soumah managing social media channels and also the design and development of monthly e-newsletter campaigns. 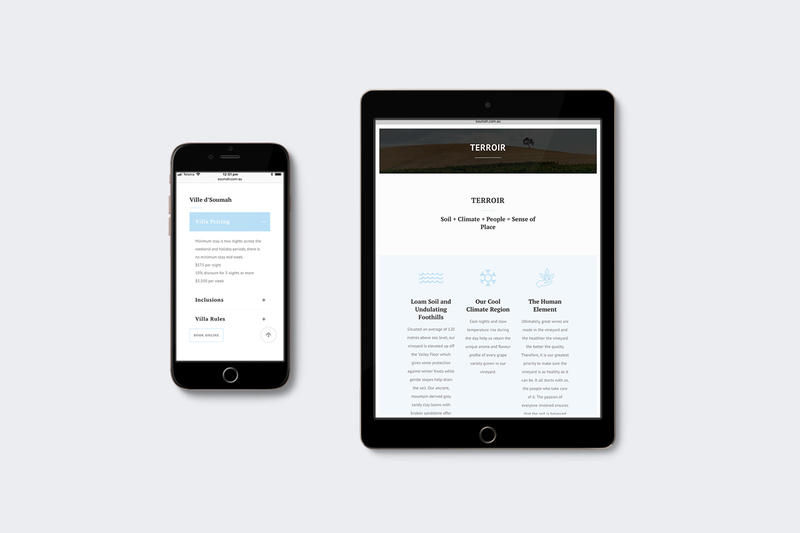 e-Commerce website strategy, e-commerce website design, e-commerce website development, custom integrations, website content management, website support and security, e-newsletter campaign design and development, social media strategy, social media management and social media advertising.